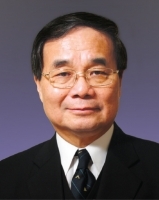 Ir Prof. Ng is Senior Advisor to the President of PolyU and Honorary Member of PolyU Court. He is also Adjunct Professor of Civil Engineering of The University of Hong Kong. With extensive experience in civil, structural and geotechnical engineering, Prof. Ng has practiced in the UK, Hong Kong and Singapore. He has been a Government Structural Engineer and a practicing forensic engineer and expert witness for over 28 years. He was Vice President of The Institution of Structural Engineers and its overseas representative for more than 33 years.